The new Holly/Brandon Lacrosse team. Photo by Mo Voyer. The Michigan State Women’s Lacrosse team competed against Eastern Michigan University on March 30 at Brandon High School stadium. The Spartans won the game 19-1. 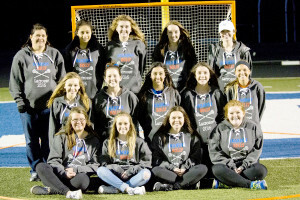 The event was a fundraiser for the prospective 2016-17 Holly/Brandon Lacrosse program.